Do you know the feeling of flying? 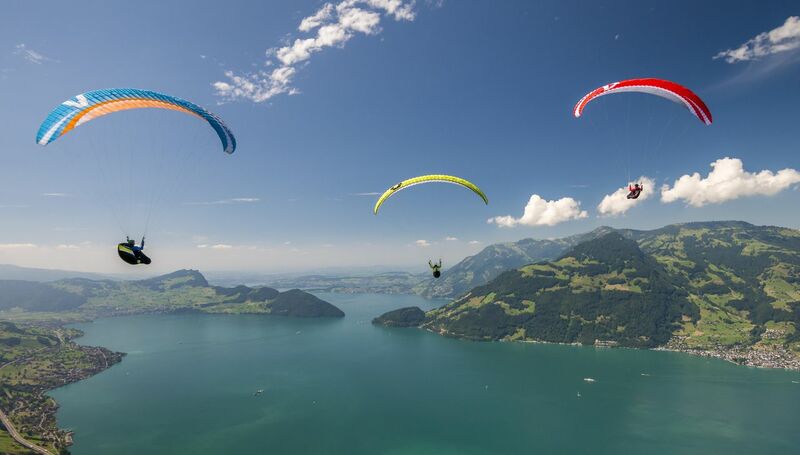 Discover one of Switzerland's most beautiful flying areas from above. From passenger flights to taster days, to various courses and training courses, flying school Emmetten & Titlis AG has for every flight lover a suitable offer. Also in the shop in Emmetten you get friendly service. You will find a large assortment of harnesses, test paraglides, second-hand paraglides and other flight accessories. Experience a unique experience together with an experienced paraglider pilot. The flight school offers beginners to professionals various courses and training. Start your flying career too! You have already discovered flying for yourself? And you would like to take off alone?